One I never knew existed! As Dave said when he explained the challenge to us, we might get to see some places we didn’t now about. Ashamed to say I didn’t know about this good way marked track and trail until last Tuesday afternoon! Easy even for me to run. Some wind throw trees near the trigpoint but the track has been worked around them . This entry was posted in cp88 and tagged FionaL on February 25, 2015 by site_admin. 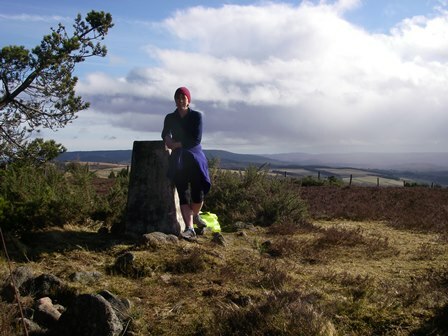 but it was a start on 1 Feb a quick stomp up through the lovely trees to the trig point on my way to Aberdeen. This entry was posted in cp91 and tagged FionaL on February 2, 2015 by site_admin.